Amplifier Foundation, Climate Prints, People’s Collective Arts, and Interference Archive host the next installment of our ongoing propaganda parties. What is a propaganda party? It’s where we invite dozens of organizations, activists, designers, and artists producing materials around a political issue together to hang out, meet each other, and distribute their flyers, stickers, posters, buttons, and more. 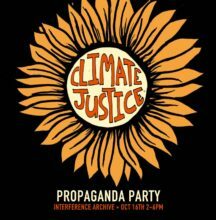 All propaganda is FREE, and we encourage all to come by, grab a drink, and load up on as many posters and stickers you can carry! 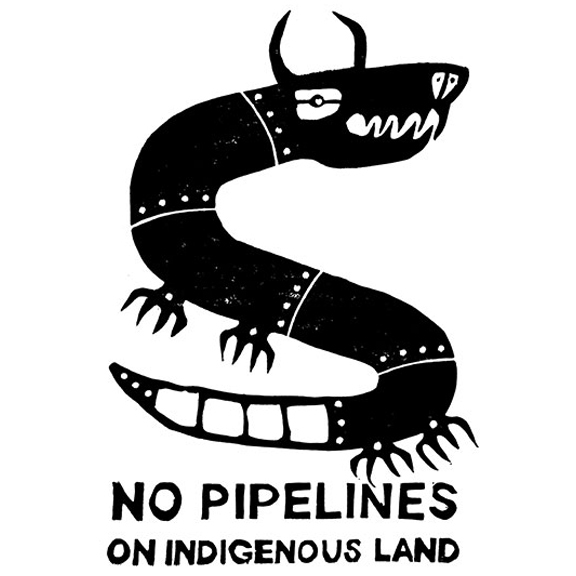 Is there a way of purchasing a t-shirt with Dylan Miner’s design on it? We’re not selling them, but I know that there have been lots of other people making them! Artspace in Toronto was making and selling them, but they appear to have stopped. You should be able to find someplace it you search around online!